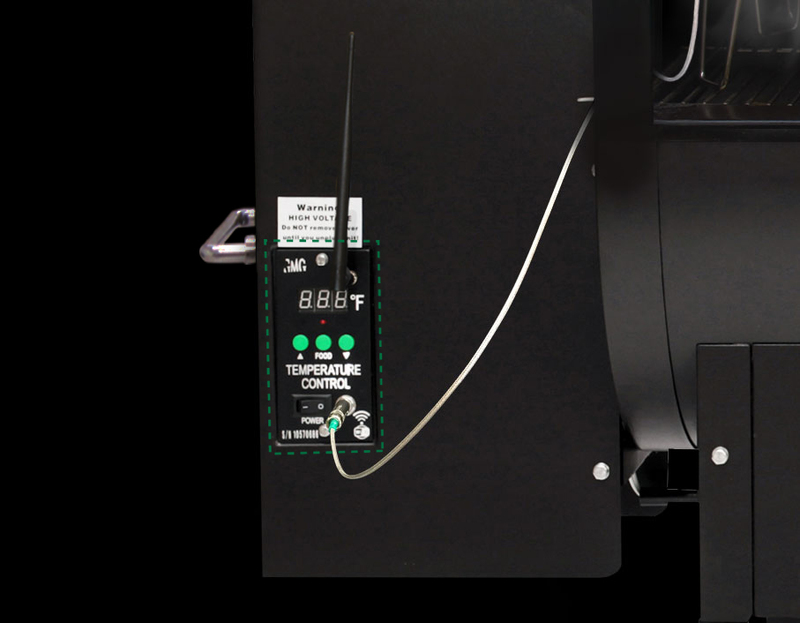 Hopper Fan creates positive pressure preventing burn-back in the hopper. Combustion Fan maintains cooking temps in the most extreme weather and blows most of the ash out of the firebox for less frequent cleaning. 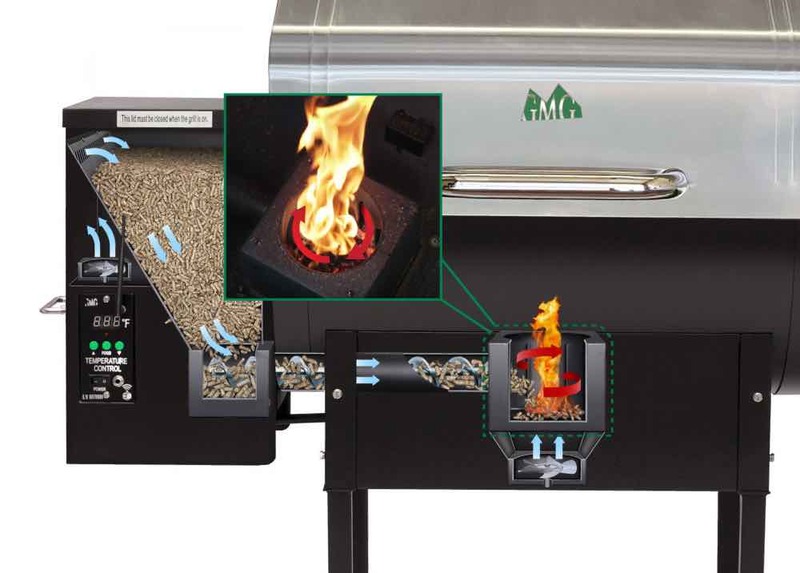 Venturi-Style Firebox creates a burn pot cyclone for maximum heat distribution and complete combustion with no waste. 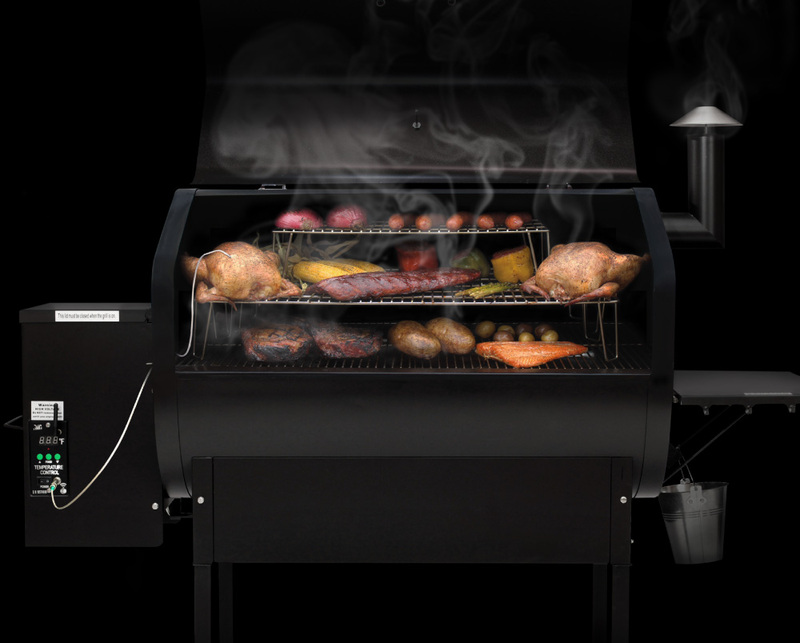 Peaked Lid is perfect for large turkeys, stand-up chickens, meat hangers, and multi-level racks. Featured here is our Jim Bowie model with a standard 658 sq. in. grilling surface with 2 JB racks and 1 DB rack creating a total of 1,363 sq. in. 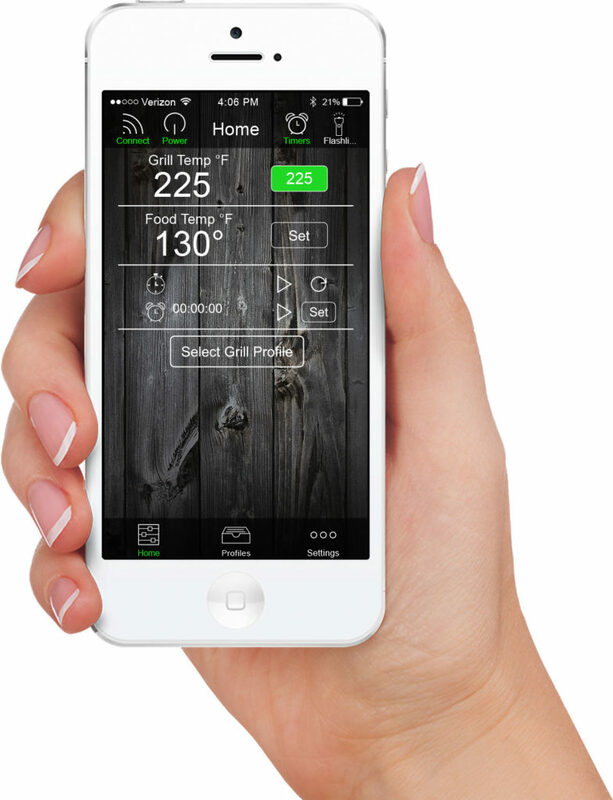 Control & monitor grill and food temperatures. 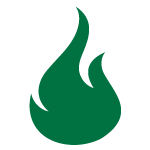 Create and set cooking profiles that are fully customizable and programable for easy repetition. Set timers and receive alerts to help manage your cooks even better. 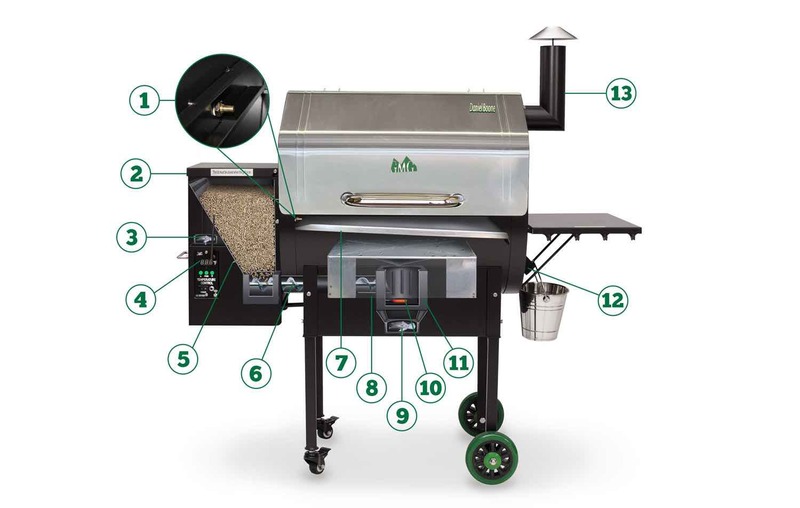 End-of-Cook Fan Mode to cool your grill down and exhaust most of the ash from the firebox for less frequent cleaning. 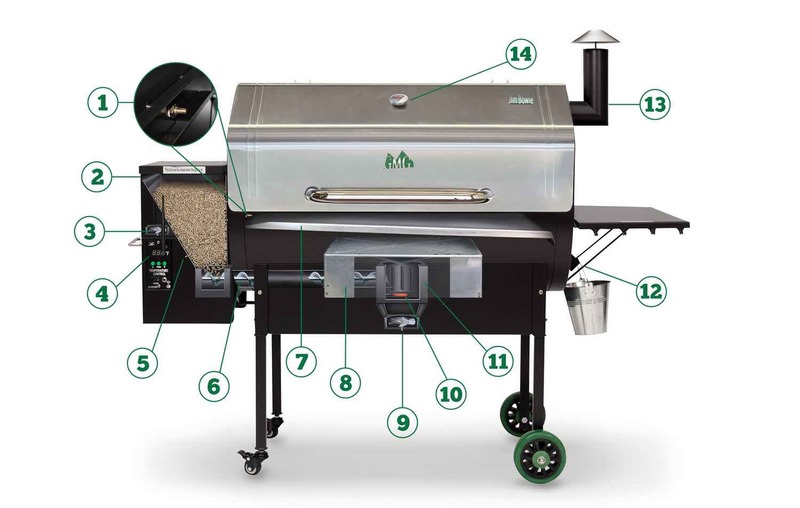 The Heat Shield* that covers the Firebox distributes the heat to both sides of the grill and flows up into the convection-style grill chamber. 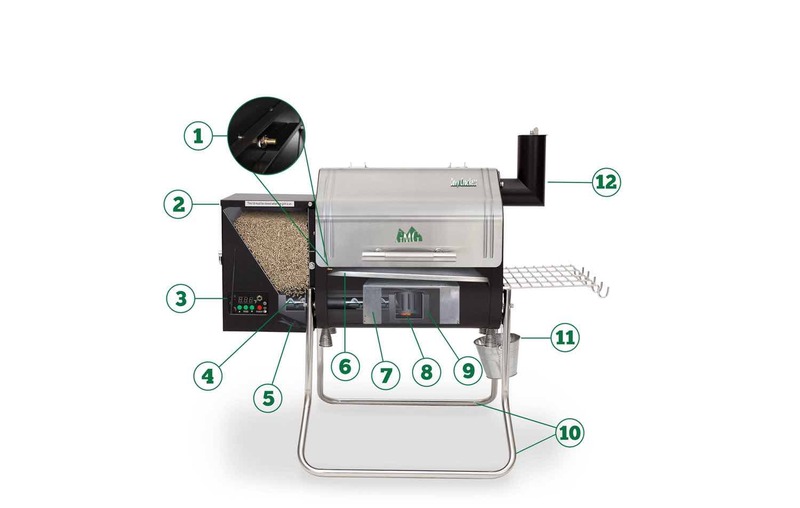 A sensor mounted inside the grill sends data to the on-board computer ten times every second, and the controller adjusts the air and pellet flow to maintain the temperature you set. 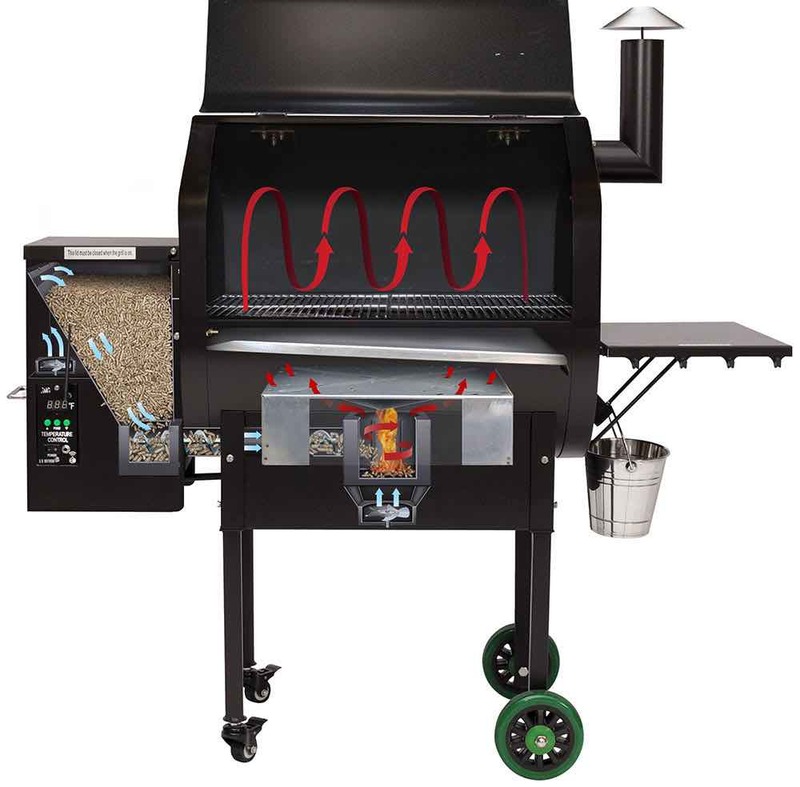 *Heat Shield styles and positioning vary between the different grill models. View our support area for more information on heat shield setup and configuration.